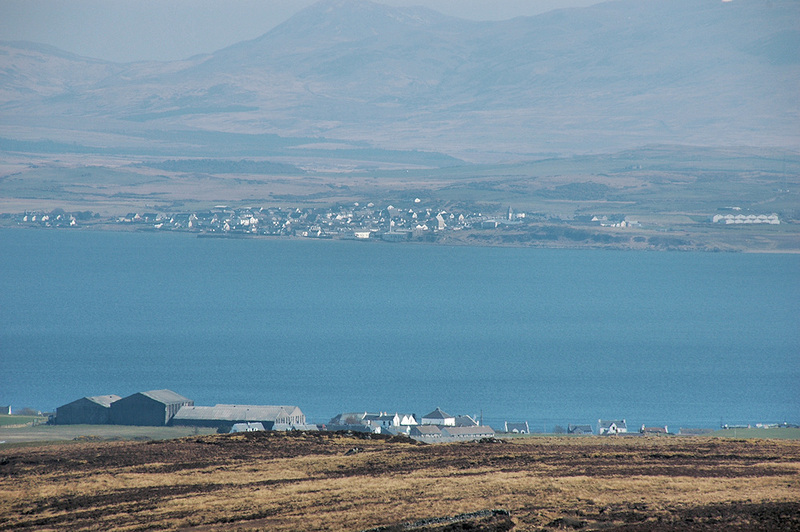 Two villages and two distilleries in one picture, both on the shore of Loch Indaal. Bruichladdich with the distillery warehouses on the left in the front. Bowmore on the other side of Loch Indaal. The distillery on the shore in the centre of the picture, its warehouses on the far right. Also the Round Church right of centre. This entry was posted in Distilleries, Landscape, Repost, Sea Loch, Sunny Weather, Village and tagged Bowmore, Bruichladdich, Islay, Loch Indaal by Armin Grewe. Bookmark the permalink.